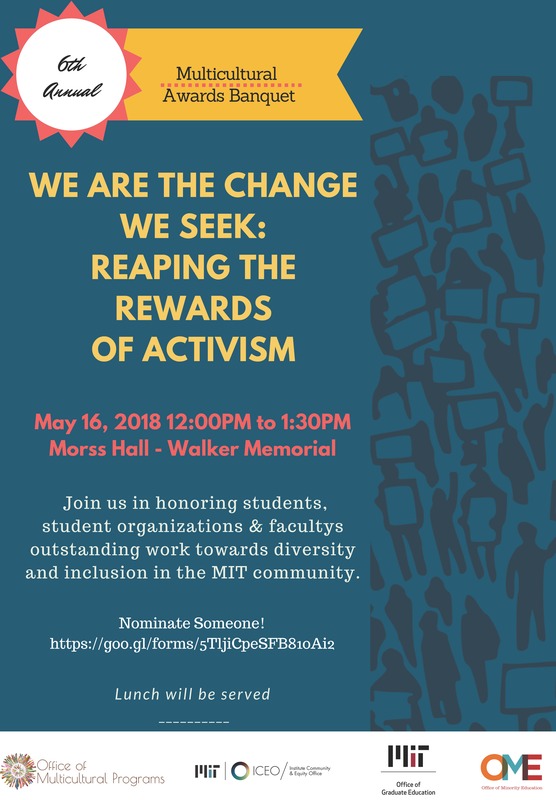 Nominate a student, student organization, staff or faculty member! Join us for the 6th Annual Multicultural Awards Banquet taking place on May 16, 2018 from 12:00 PM - 1:30 PM in Morss Hall - Walker Memorial (50-140). Come celebrate students, student organizations, faculty and staff's outstanding work and their impact on the community. Lunch will be provided. Nominations are closed, but you can still RSVP to attend the banquet here!